Delivery from £10.22 to United Kingdom in 10 - 20 working days. 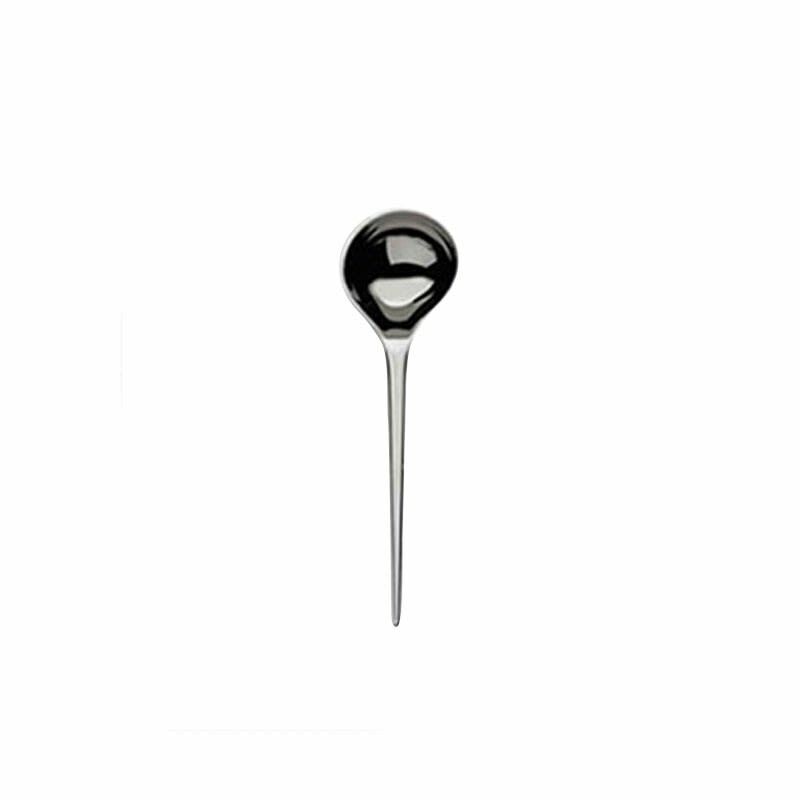 An elegant sauce spoon designed by Sezgin Aksu with Silvia Suardi for Serafino Zani, made in 18/10 stainless steel. The extremely essential and clean-cut lines, surprising and impressive for their formal boldness, make this accessory innovative and yet remarkably fitting to every table be it informal or traditional. It's not just a question of looks: Kyoto silverware are the result of the synergy between designer and company technicians, form and proportions meet an assured ductile and ergonomic material. The end goal is to create high quality daily objects which are pleasant to use without requiring demanding maintenance. Perfectly balanced and nice to the touch, the silverware is made in thick, quality stainless steel, hand polished. Complete your Kyoto collection with a serving spoon, serving fork and ladle.